Instagram Stories are fun, interactive part of Instagram. They keep adding cool, easy-to-use features that will let you showcase your brand and engage with your community. Tap at the bottom of the screen to take a photo, or tap and hold to record a video. To choose a photo from your phone’s library or gallery, swipe up anywhere on the screen. There’s many ways to add color to your Instagram Stories. You could choose a photo with your brand color or add text and graphics to your photos. The key is to let people know that it’s you without overwhelming your message. Dry Bar is one of my favorite brands offline and on. Their bright buttercup yellow is happy and sets the tone for their fun brand. They share lots of product photos like this flat iron. People who follow Dry Bar on social media are looking for products, styling tips, and sales. Dry Bar does not disappoint. How did we survive before GIFs were adding into Stories? It’s 100% my favorite Instagram Story feature. There’s so much you can do with them! Add humor and emphasis to any post with GIF punctuation. This cute example is from Planoly. They were sharing a fan’s post and they customized it with text, a little rainbow/cloud GIF, and bumped it up one more level with the colors on the edges. Everyone loves a coupon and people follow brands for the good deals so don’t disappoint. I splurged on the Dry Bar blow dryer I had my eye on because I saw it was on sale on Instagram Stories. I swiped up and grabbed it! My friend Julie Khuu is an Interior Designer in Los Angeles and uses her Instagram to share her works-in-progress and before and after photos from projects. She should have 100,000 followers – make sure to check our her cool Instagram and follow her!. Julie’s Instagram is a combination of interior design, fashion, and lifestyle blogging. Use your favorite design apps to create branded graphics. Use 1080px by 1920px for your Instagram Story design. You can find templates for Instagram Stories in Adobe Spark and you can animate them. Live video is the most attractive media on the internet. “Live video is more appealing to brand audiences: 80% would rather watch live video from a brand than read a blog, and 82% prefer live video from a brand to social posts.” says Livestream. People love interacting in real time. Reach your fans and engage with them! Make sure to have a plan for your livestream so your live video is compelling and interesting. Use the best tech you have available for lighting and sound. Your smartphone is fine but make sure to clean your lens first and face your light source. Boomerang from Instagram “makes everyday moments fun and unexpected. Create captivating mini videos that loop back and forth, then share them with your friends. Find something (or someone!) that’s moving, or create a video selfie by switching to the front-facing camera. There’s just one button. Tap it once and Boomerang does the rest: shoots a burst of 10 photos and turns them into a delightful mini video. Share it on Facebook and Instagram right from the app, or save your video to your camera roll to share later. There’s just one button! The app takes 10 photos and stitches them together, speeds up the video and smooths out any bumps, then loops it back and forth.” That’s the big difference between a Boomerang and a GIF, a GIF continually loops and a Boomerang loops back and forth. It usually takes me about three tries to get a Boomerang that I’m happy with so be patient and experiment. It’s helpful to work with a friend to create good Boomerangs. You can create Boomerangs in Instagram Stories or use the Boomerang app. It’s possible to keep the camera still and have the subject move or have the subject use subtle movements and move the camera too. Add a question sticker to your story by selecting it from the sticker tray after taking a photo or video. Type out your prompt then place it wherever you’d like and share it to your story. When friends see the sticker, they can tap it to reply — and they can reply as many times as they want, right from the sticker. You can change the color of the question panel and drag it around the screen. And of course, you can add stickers, GIFs, and draw before sending. Jump in and start creating fun content for your Instagram friends. I know they’ll love it! 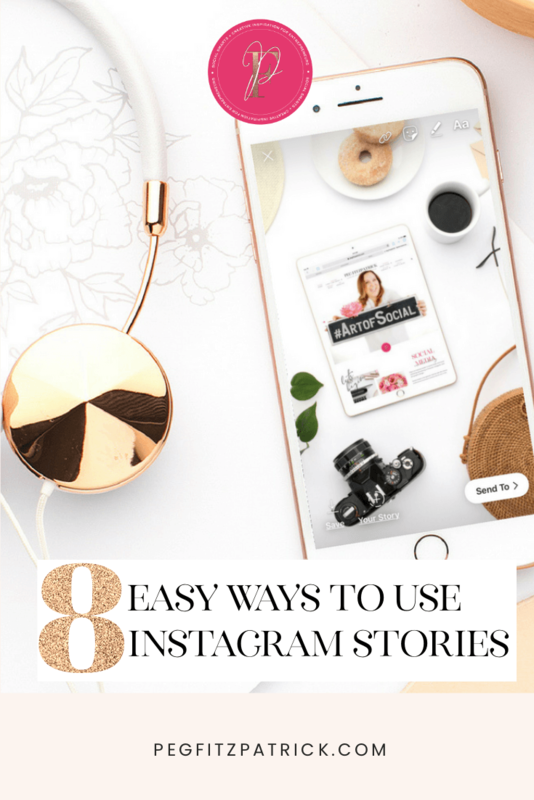 I hope this gives you some new ideas to try for your Instagram Stories. They’re fun and easy to create so I hope you’ll give them a try. this is the correct route to achieve audience trust, You have got explained very well in this article I will try to boost organically my social media post through your valuable content strategy I appreciate your work ma’am and thank to share your thought able ideas with us. So happy you liked it – thank you for your comments.